Agent-based modeling is an emerging technique for describing, understanding, and controlling complex adaptive systems such as social networks, markets, or ecosystems. Repast Simphony is a widely used free and open source agent-based modeling environment. This hands-on tutorial will introduce agent-based modeling and show how to write a Repast Simphony model. The agent-based modeling discussion will be based on Dr. North's book Managing Business Complexity: Discovering Strategic Solutions with Agent-Based Modeling and Simulation. The Repast Simphony tutorial will show how to create a simple social network model. Participants are encouraged, but not required, to bring computers for the hands-on exercises. Michael J. North, MBA, Ph.D. is the Deputy Director of the Center for Complex Adaptive Agent Systems Simulation within the Decision and Information Sciences Division of Argonne National Laboratory. 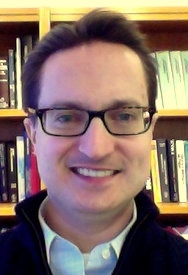 He is also a Senior Fellow in the joint Computation Institute of the University of Chicago and Argonne. Dr. North has over twenty years of experience performing advanced modeling for private industry, government, international agencies, and academic research agencies. Dr. North is the lead developer of the widely used free and open source Repast agent-based modeling suite. Dr. North is also the lead author of the book Managing Business Complexity: Discovering Strategic Solutions with Agent-Based Modeling and Simulation, published in 2007 by Oxford University Press. He has authored or co-authored over fifty journal articles and conference papers. Dr. North holds ten college degrees, including a Ph.D. in Computer Science from the Illinois Institute of Technology.